Very Special Message: THE TIME IS SHORT! 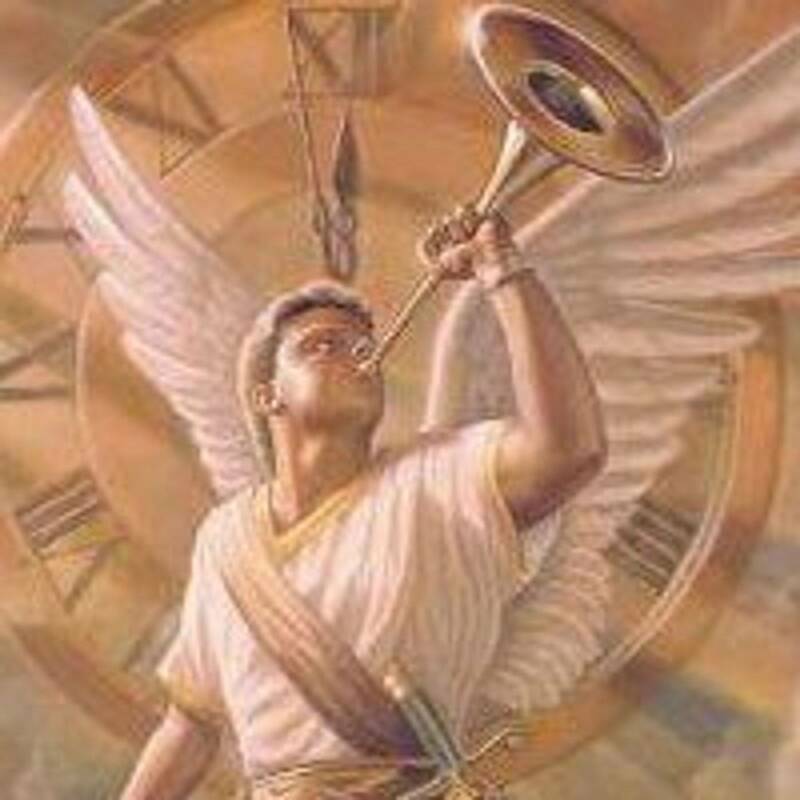 We are on the verge of a major prophetic event as prophesied in the Book of Isaiah chapter 17. The prophecy is regarding the destruction of Damascus, the capital of Syria. By simply googling “syria civil war,” for example, you’ll come across reports and images of the destruction that this war has left on this country. Although, cities like Aleppo and Homs have been severely destroyed, we are ever so close to seeing the fulfillment of this prophecy as war has come to Damascus. Currently, the United States and allies are waging a war against ISIS inside Syria and bombs inside this Country fall daily. This is one very obvious sign that the Bible is the perfect, infallible word of God. Thousands of years, through the inspiration of the Holy Spirit, our Lord revealed to us His word of Truth. He provided us with a glimpse, revelations of future history and how it would unfold in the end times. Wars, rumors of wars, pestilence, famine, nation against nation, kingdom against kingdom, you name it, it is happening and at great speed. The time is very short. It is your decision if you choose to believe that the Bible is the True Living Word of God. I ask that you, at the very minimum, take the situation in Syria to realize that there is truth in this precious Book and that the coming of our Lord Jesus Christ is imminent. 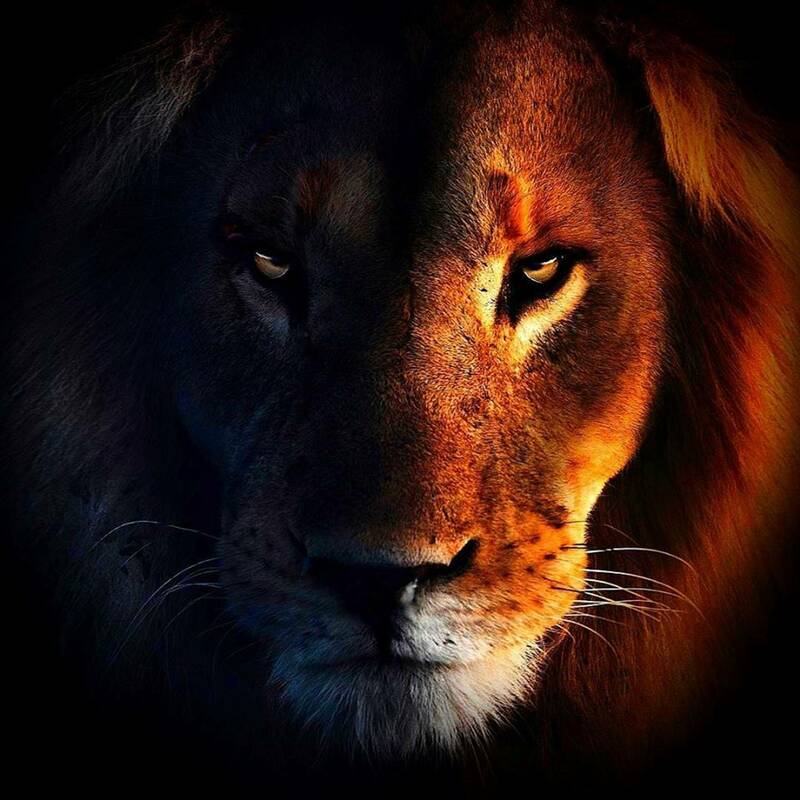 He will come like a thief in the night!!! Do not let yourself be caught off guard. Make sure you are walking and trusting in Christ by faith. Pray without ceasing that you may be found worthy of entering God's Holy Kingdom. Huge events are expected from this point forward. Something huge is on the Horizon. Please don't be like those who lived in the days of Noah and ignored the warnings. Get on your knees! Give your life to our Lord!!! Only He can save us since He is the ONLY way! My friends and family members, Isaiah 17 will soon be fulfilled. The Rapture of the Church can come at any moment. I pray that you do not ignore this message / warning. Take up your cross today and follow Christ. We don't know the day or hour. What we do know is that the time is very short! God bless you and May God be with us always!!! The image below is the City of Aleppo, Syria! 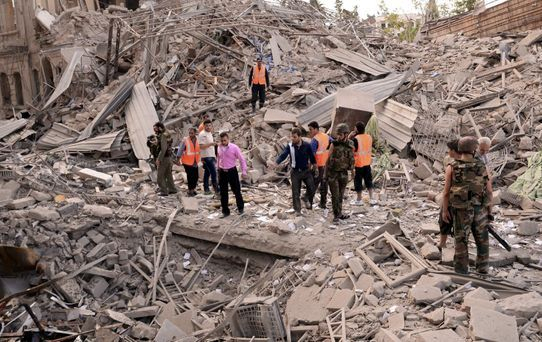 Extensive damage from the current, worsening war! Soon, however, Damascus, the Syrian Capital, will become a heap of ruins. 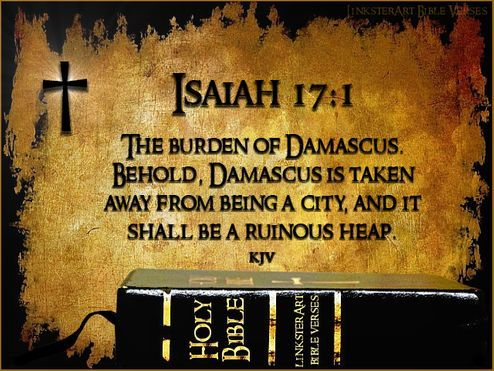 The Bible says in Isaiah 17 "This message came to me concerning Damascus: "Look, the city of Damascus will disappear! It will become a heap of ruins"
Get the latest information on the war in Syria. Click here.